Back today with another Paper Smooches inspired card. I used the Smoocheroos stamp set for it together with some fun edge stamps from EK Success and a oval die set that I recently pick up. I colored it with my Copics and although you can't tell, the balloons are covered in glossy accents. I used some fun 6x6 Doodle Bug papers to keep with the bright and cheery feel. The colors and prints them come up with at Doodle Bug are always so happy! It all came together very easy and I hope Torrey smiled when she got it in the mail. Sweet and fun birthday card, Jodi. Great take with the DP and image. Thanks for joining our "Birthday Balloon" Challenge @ Little Red Wagon this week. Hope to see you back again too. What an adorable card! It's so cute and cheerful! Thank you so much for entering our challenge at Crafty Gals Corner Challenges this week. Be sure to join us next week too! This is such a cute card Jodie! I love your mix of colours and patterns and your colouring is awesome. 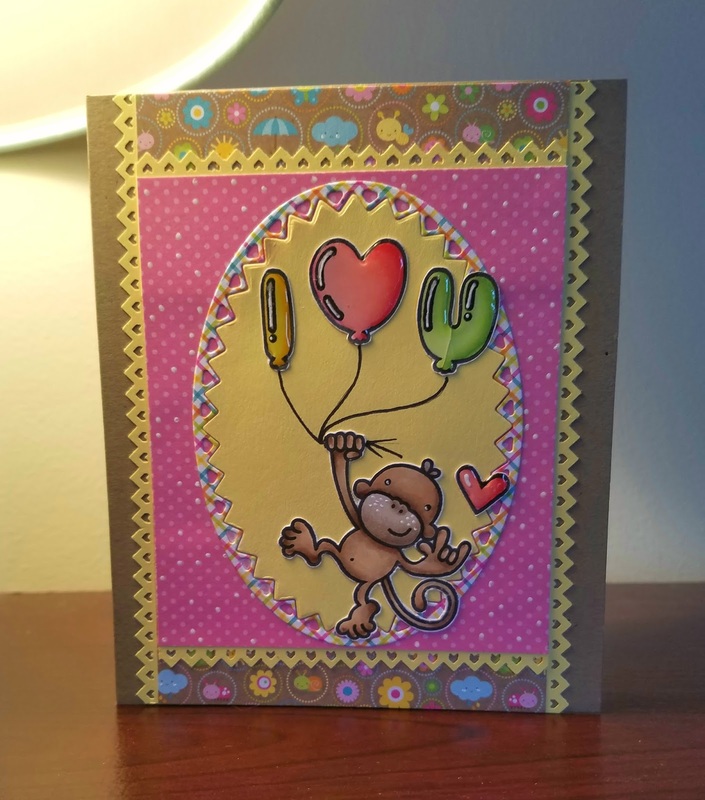 Beautiful card,Jodi!Love the glossy accents details!Thank you for sharing with us at the Crafty Gals Corner this week!Hope you join us again soon!